The 12th Annual South African Film and TV Awards (SAFTAs 12) has opened the voting lines for the Most Popular TV Soap/Telenovela award on Friday, the 19th of January 2018. 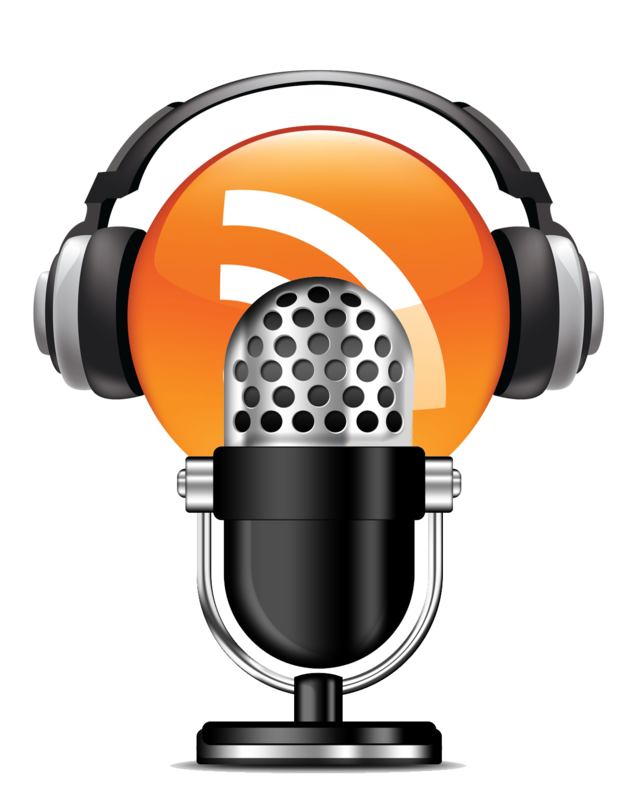 The nominees for this award consists of all the soaps and telenovelas that have been submitted by the Production Companies as entries in other categories. 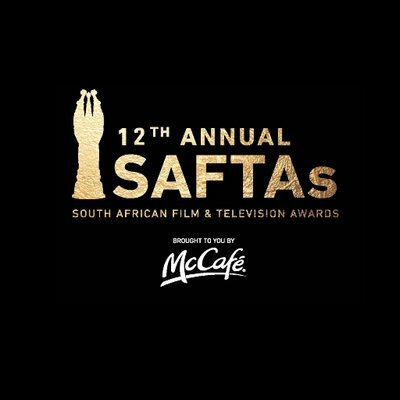 As per the SAFTAs entry guidelines, the public can only vote for entries that were submitted by Production Houses. Furthermore, if a soap/telenovela is not entered it cannot be considered for voting by the public. Historically, the Most Popular TV Soap/Telenovela nominees are announced once the voting lines are open, which happens earlier than the announcement of the other SAFTAs nominees. This early announcement enables the shows and channels enough time to campaign for votes. 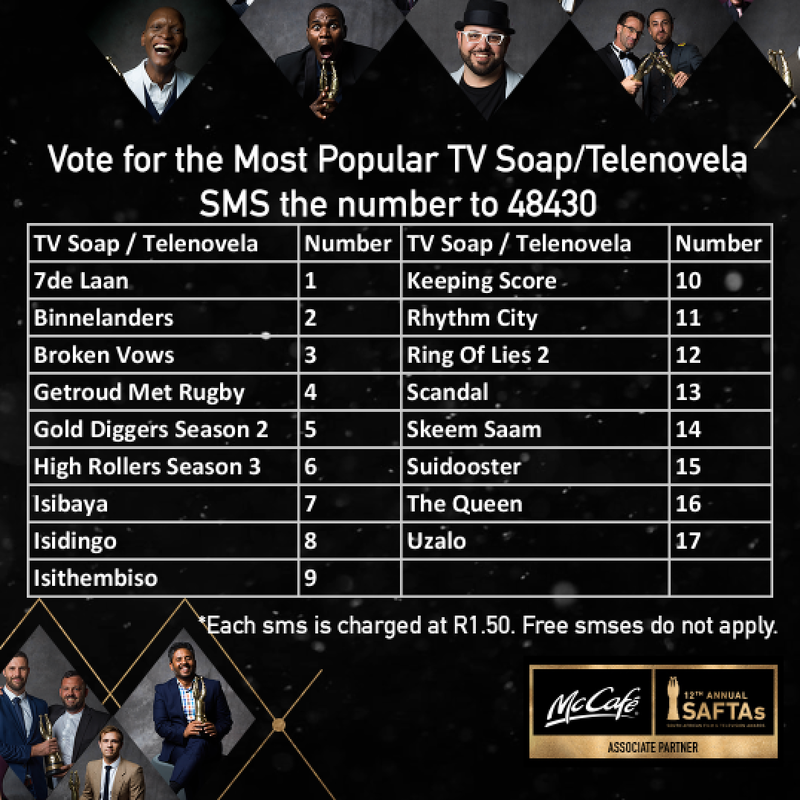 Viewers are encouraged to vote multiple times to ensure that their favourite soap/telenovela wins, by SMSing their show’s code (number) to 48430. All SMSes are charged at R1.50 and free SMSes do not apply. The SAFTAs, managed under the custodianship of the National Film and Video Foundation (NFVF), an agency of the Department of Arts and Culture, are an integral part of the growth, skills development and transformation aligned with NFVF’s goals for the industry. The awards honour, celebrate and promote the creativity, quality and excellence of South African Film and Television talent and productions, and serve to encourage entrepreneurship and the development of new talent within the industry.